Writing and Blogging: Equal Standards? My writing group, First Writes, has fluctuated in numbers since we first formed in September of 2009. We’ve had as many as ten and as few as three at our meetings. Other obligations like Bible studies and choir sometimes take precedence. One of the original members, Ed, is a retired math teacher who enjoys writing essays about God and faith. He also enjoys working with the youth of our church and takes breaks from First Writes to minister to them. We miss Ed when he’s not there. 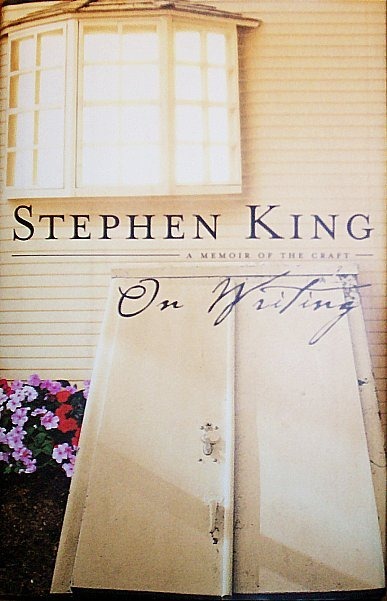 His insights on writing are unique and very well thought out. He’s a very precise person and looks at a manuscript like he looks at a geometry equation, examining all the angles. His fresh, detailed perspective is greatly missed by us all. Before Ed took a break from First Writes the first time, he surprised us all with a wonderful gift – Writing Tools: 50 Essential Strategies For Every Writer by Roy Peter Clark (2006). After a funny and eloquent speech that I wish we had in writing, Ed presented each member with a copy. 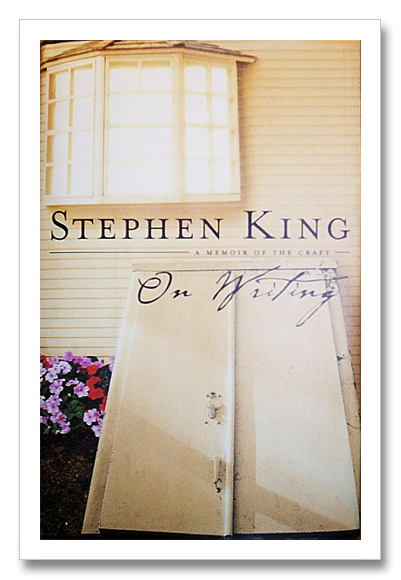 Inside the book, he included the following sentence typed on a strip of white paper: May God’s love for us, and the love He wants us to give to others, be our inspiration; our power; and our greatest writing tool. I was touched by his gift and his words. Both have been beneficial to my writing practice. Tonight as I was reading, I came across a chapter that caught my attention because the author seems to take a negative view on blogging as a form of writing. In Writing Tools, under Useful Habits, Tool 41 is Turn procrastination into rehearsal. In this chapter, Clark explores the idea of changing how writers view procrastination: it doesn’t have to be a bad thing, according to Clark. He renames it rehearsal because procrastination gives writers the time to map out stories or other writing ideas in their head. In other words, when I’m ‘procrastinating’ by doing the dishes or vacuuming, I’m also rehearsing by doing story sketches and working out plot. Running is not a form of procrastination for me, but it is a form of rehearsal. When I’m running stories practically write themselves in my head. I only wish I could record my thoughts! Relaxed standards are persuading a generation of online writers that they are members in good standing of the Writing Club. It would not be hard to make a case that the standards of most bloggers are too low, that these digital innovators would make themselves more readable and persuasive by raising their standards –but only at the end of the process (Writing Tools, 202). Writing Tools was published in 2006. Is Clarke’s view of blogging accurate for that year? Is his view applicable to today’s blogs? In some cases, Clark is right. Not every blog is well-written, but a lot of them are, which makes me question whether the writing I do on my blog is of lower quality than what I write for publication. I will admit that I do not edit my blog posts as much as I edit a manuscript I’m submitting for publication, but I maintain the same standards for blog posts that I do for any piece of writing. I put considerable thought and effort into each post while keeping in mind my audience and what I want to show and tell them. I would never say my blogging standards are low and from many of the blogs I regularly visit, I would have to say that all bloggers maintain high standards. So what does Clark mean when he says, “but only at the end of the process”? I see blogging as a ‘process’ of writing, a motivational tool that keeps me writing in spite of procrastination or writer’s block. But it doesn’t keep me writing because there are no standards or expectations as Clark suggests. In fact, blogging keeps me writing because my readers are expecting quality content. Is Clark proposing I just throw anything at my blog to see if it sticks and then when I’m finished blogging go back and try to clean it up and make a pretty picture? Then again, when I’m finished with the Bible Bloggers series I plan to edit and revise each entry in the hopes of putting together a book. So in a way, I’m doing just as Clark says. What do you think? Have opinions on blogging and bloggers changed since 2006? Or is blog writing stigmatized as beneath ‘regular’ writing? Now can Tweets be considered a form of low-standard writing?